My boyfriend Chris and I are currently undergoing our first ever apartment hunt in the city! Although pretty stressful on top of everything else (finals and school work, two shows, two films etc...), I am getting more and more excited as it comes closer to moving time (we are hoping for next month! eek!)! The part that I am looking the most forward to is decorating it and making it our own, so I've decided to do a little apartment wishlist series here on the blog! Obviously I have to be conscious of not making it too girly, as I will not be the only one living there...but I can't help but keep finding such cute things! Overall, I think we've agreed to a modern-meets-mid-century type design, as we like aspects of both. Of course, it is our first place, so it can't be everything we ever dreamed, and we should probably start out with a lot more basics than character, but a girl can still dream! I've decided to kick off this series with the part I am most excited about organising...the kitchen!! I already have been collecting a few things to start the kitchen off over the past year or so (mason jars to drink from, a cute retro apron, etc. ), but I found these cute little accessories above and am just so smitten! MaxiMatic EBK-200 Elite Cuisine 3-in-1 Multifunction Breakfast Deluxe Toaster Oven/Griddle/Coffee Maker ($39.99) - I am not much of a coffee drinker, but since Chris is and I love a good morning bagel, I thought this would be the perfect little gadget for us to have in our kitchen! It will surely save some much-needed counter space as well, since I imagine we surely won't have a deluxe kitchen. Modcloth Kitten Confidential Shaker Set ($12.99) - This isn't so much of a necessity as it is just a cute and fun way of decorating the kitchen, with function. I love novelty shaker sets, and we are huge cat people, so I just died when I found this one! Modcloth This Time Tea-Morrow Set ($54.99) - Like I said, I don't care for coffee, but I could have a cup of tea anytime of the day! I loved this simple set with a classic tea pot included, and love how it's all organised together. Utilising space is definitely needed anywhere we can get it. Plum & Bow Patterned Measuring Spoon Set ($14.00) - As a perfectionist, measuring spoons and cups are a must when cooking or baking! I really liked these on Urban Outfitters' website. Ideally, I would like a set bigger than 4, but the patterns were too cute to pass up. Modcloth Dream and Sugar Tea Set ($64.00) - Yes, yet another tea set. This one was just so perfect and sweet! I've loved hearts my whole life, so heart-shaped plates and tea cups? Sign me up. I also love the colour scheme and gold edging. So classy! 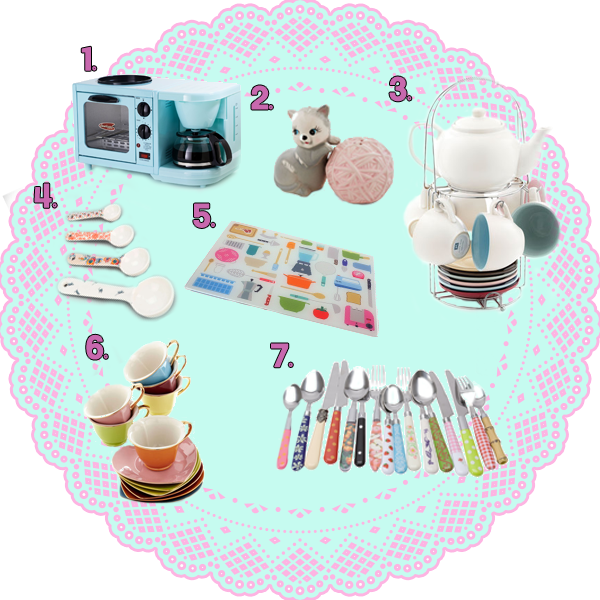 Present Time Mix and Match Cutlery Set ($47.77) - This is probably the one thing on this list that I want the most. I saw this cutlery set some time ago on Modcloth and have been wanting it for ages. 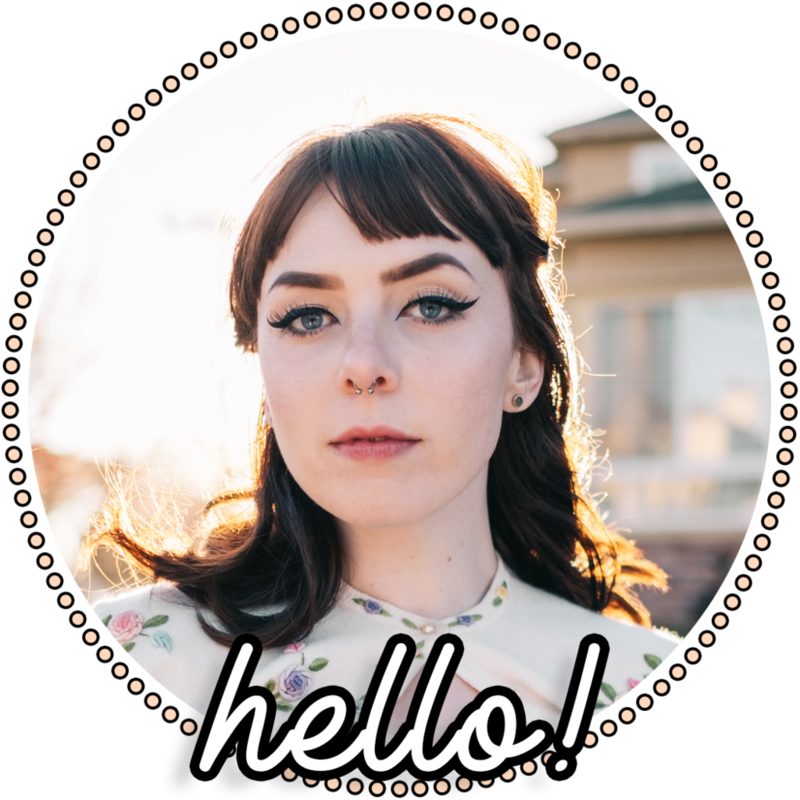 Modcloth recently stopped selling it so I was so thrilled to find it on Amazon! Every piece is just perfect, and besides, without flatware how would we eat? That's it for my dream kitchen! If you come across any cute mid-century inspired kitchen accessories, or any other home decor that I might like or that you love, share them in the comments! Also let me know which of these is your favourite! Ah I love all of these, home decor is always such a fun thing to shop for! I just obtained the essay writing service australia at my training plus Concerning you be grateful for for this. That i learn a person's discussions plus use a information and facts if deciding on crafting expert services. At this point it has previously worked beautifully to do plus Hopefully so that you can continue to have these level of quality eventually. This isn't which usually really difficult to generate rushessay.com. The only way to make sure you bother with certainly is the content and articles written with an essay or dissertation developed looking for an opportunity. Document supervised to look through extremely fast, great making service plan with a portion of the feedback relating to the web page and additionally Now i'm glad.